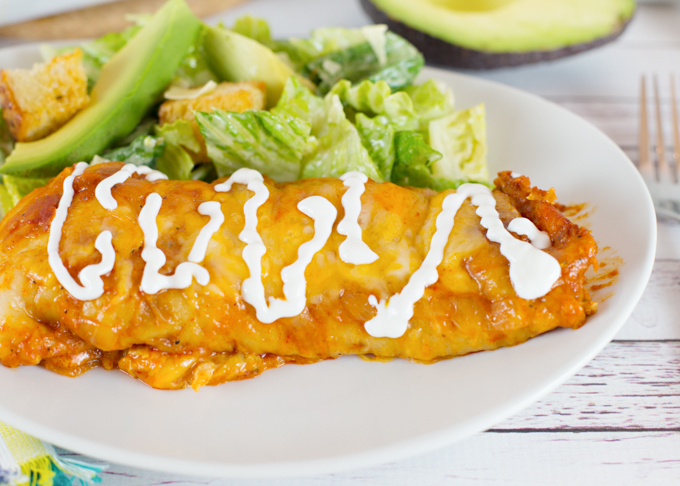 Homemade Chicken Enchiladas are one of our favorite meals. 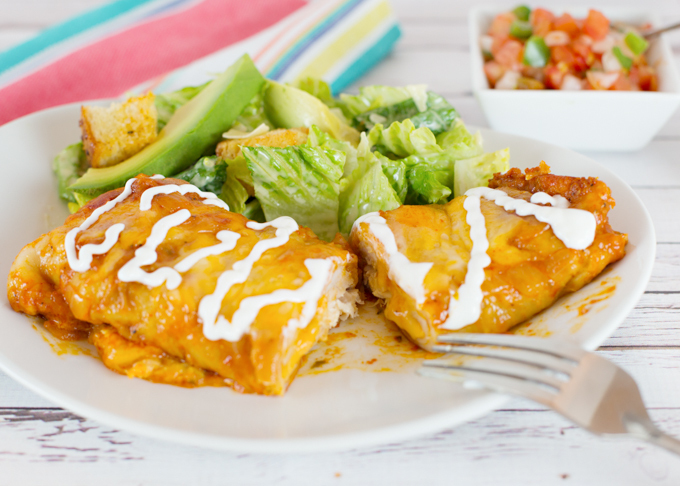 What’s not to love about tender chicken and oozing cheese wrapped in a tortilla, smothered with more cheese, and homemade enchilada sauce? As you can see, I don’t skimp on the cheese. What you can’t see is that I don’t skimp on the flavor! I love making meals, where you can either share a portion with a friend or freeze some for another time. This week, I brought dinner to a sweet couple who just had twin baby boys! The second pan didn’t make it into my freezer, but I’ll take those baby cuddles any day! 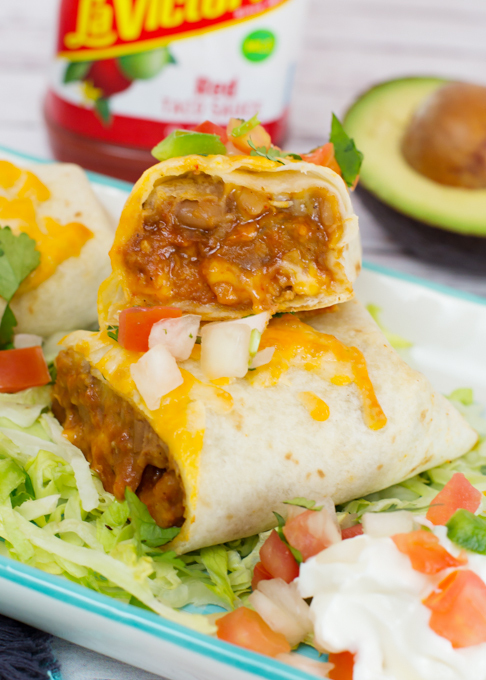 Besides a pan of these Chicken Enchiladas, I also dropped off some Caesar Salad, chips, salsa, a couple of cold Coronas, a frozen yogurt pie, and a freezer pan of these Baked Beef & Bean Burritos. 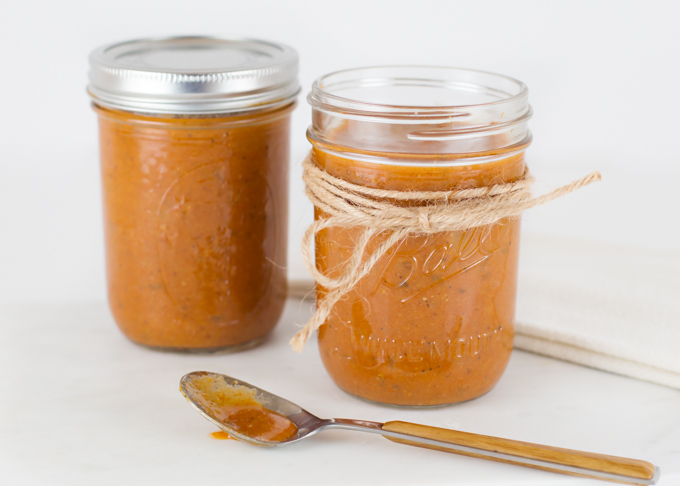 The secret to a good homemade Chicken Enchilada, besides all the oozy cheese, is Homemade Enchilada Sauce. It’s so full of flavor, and the best part is that you get to control the spice and salt level when you make it. Win, win, win! 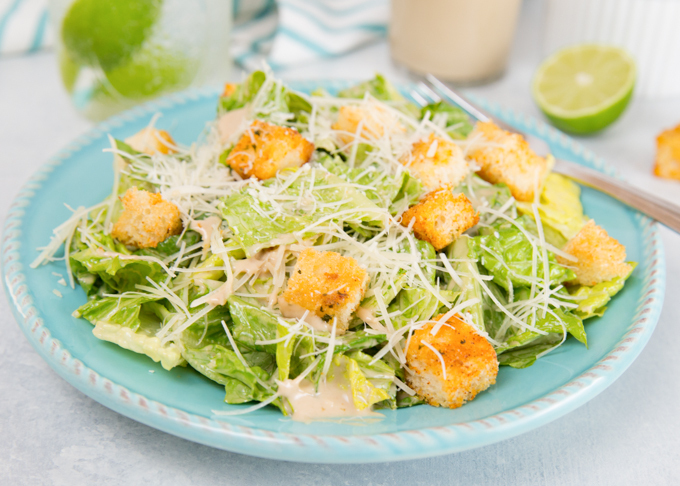 And, if you ask me, a simple Caesar Salad is all you need to make this a complete and delicious meal! 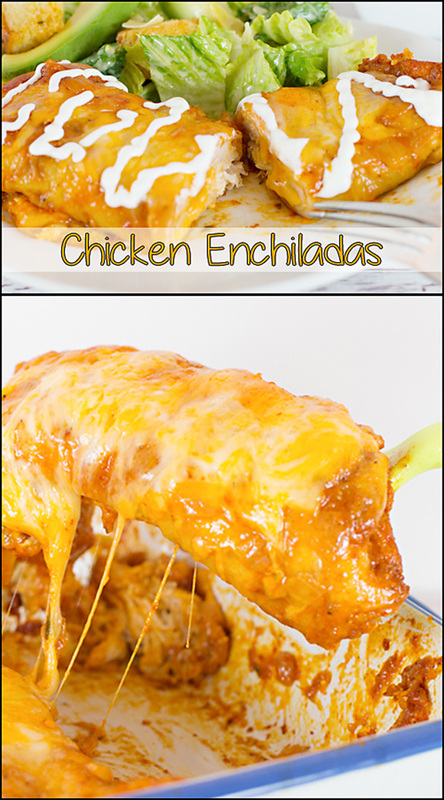 I’ve included these delicious Chicken Enchiladas over at Southern Plate’s Meal Plan Monday! You won’t want to miss out on all the delicious recipes!! 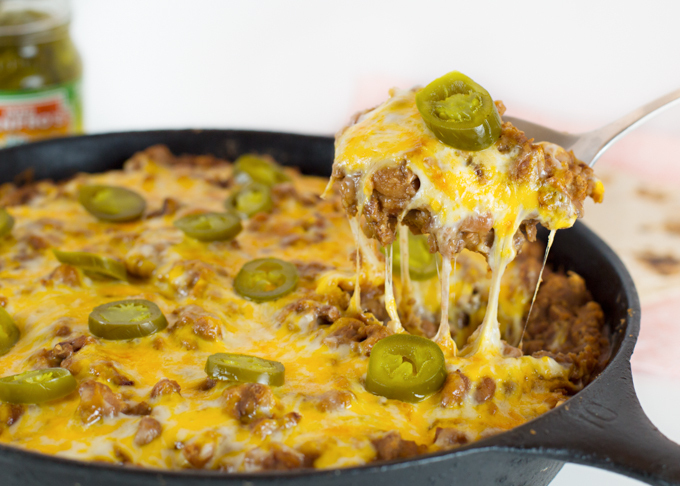 This recipe will makes about 10-12 enchiladas. I made mine in two smaller baking dishes, but use one large one if you prefer. Pour about ½ cup sauce on bottom of baking dish, set aside. In large skillet, saute onions & garlic in olive oil over med heat until just translucent. Add Ortega chiles. 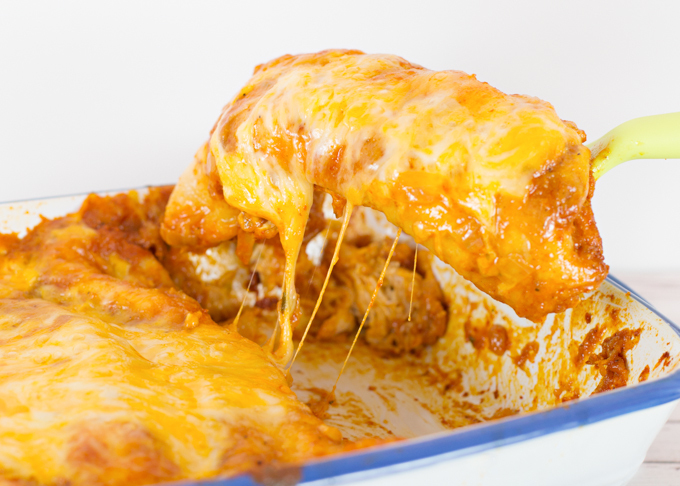 Add cream cheese, chicken, and ½ cup enchilada sauce. Stir until cream cheese is melted and chicken is just warm. Remove from heat. One at a time, heat tortilla (I do mine directly over my gas flame, but it can also be done in a large dry skillet over med heat) until just starting to warm. This will prevent the tortilla from cracking when you roll it up. Place warm tortilla on a plate. Spoon about a TBSP of enchilada sauce on tortilla. Add a small scoop of chicken mixture into center of tortilla, top with grated cheese. Tightly roll up and place seam down into sauced baking dish. Repeat until all tortillas have been filled and rolled. Cover with foil and bake at 350* for approx ½ hour or until hot. Remove foil and continue to heat up cheese is bubbling. I found this recipe on Yummly and made it tonight. It was wonderful! 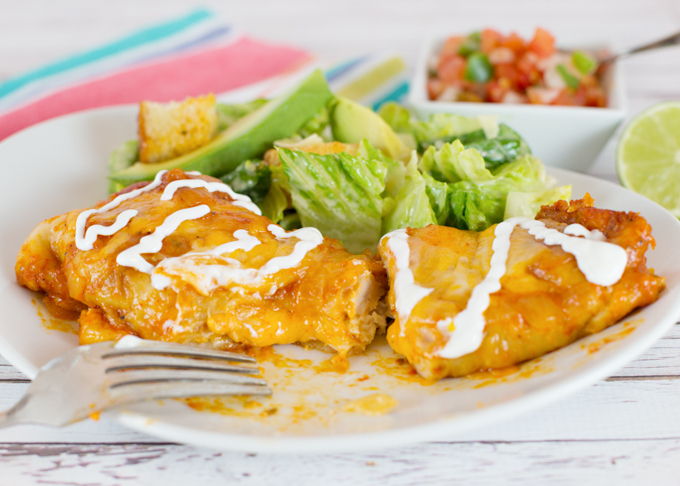 The cream cheese with the enchilada sauce really made a great, thick sauce for the chicken. I also added a lot of Chile powder to the chicken mixture for flavor. Thanks so much for the recipe!! Wow, this is almost exactly like the recipe I grew up with.